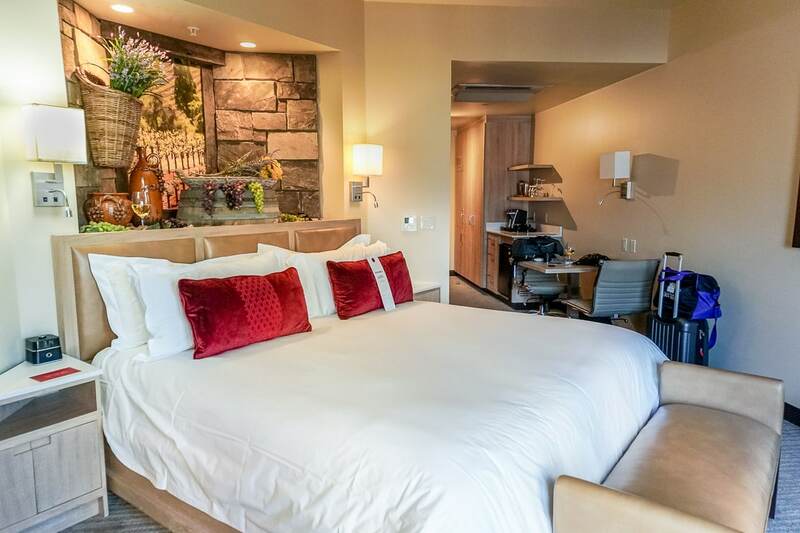 I’ve stayed at numerous hotels in Boise, but the Inn at 500 Capitol has easily become my favorite — and not just because they welcome you with a glass of local wine (or beer) at check-in. Every detail from the chic decor to the friendly service combine to create a wonderful experience you’d be hard-pressed to find anywhere else. Located in the heart of downtown Boise, the Inn at 500 Capitol is the city’s newest luxury, boutique hotel. 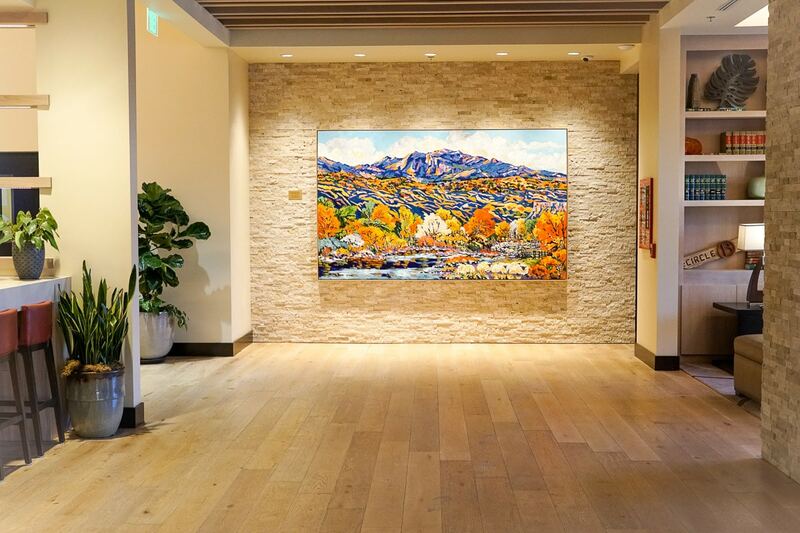 Featuring 112 guest rooms, amazingly attentive service, gallery-level art, modern decor, and an abundance of amenities, the Inn at 500 Capitol has a laid-back luxury way about it that’s quick to make guests feel at home. Of the 112 rooms, 72 are themed. 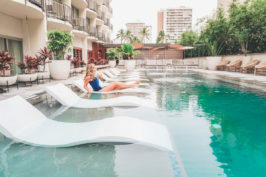 Staying true to the hotel’s mission of connecting with its city, all themes are reflective of the area’s art, culture and history. Not surprisingly, I was given a wine themed room, which was beautifully decorated with a vineyard scene above the bed, complete with extremely realistic-looking grapes, wine glasses and baskets that filled the nook below. My room (a Deluxe King) was spacious and modern, featuring a gas fireplace below the large flat screen TV, a private balcony boasting beautiful city views and a swoon-worthy bathroom with a walk-in shower and large bathtub (I’m STILL dreaming about that bathroom). 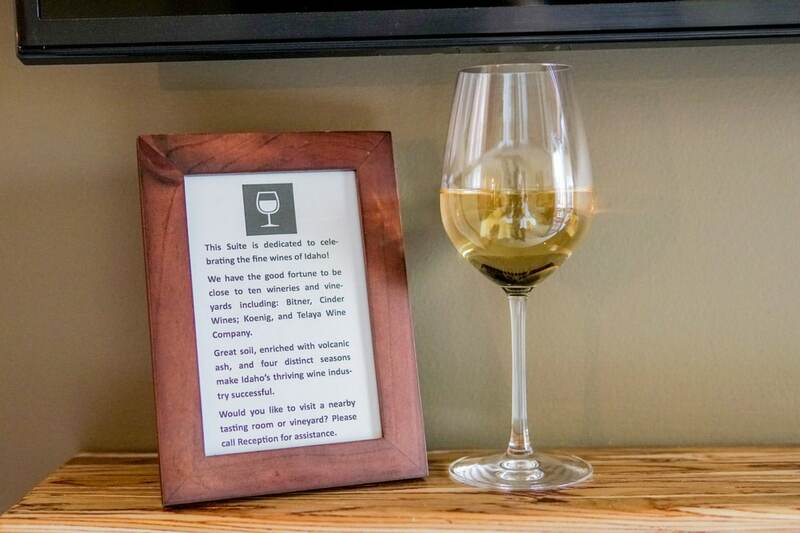 Every aspect of my stay was enjoyable, but it’s the little, thoughtful details that set the Inn at 500 Capitol apart. From the custom Italian linens and bedside outlets (complete with USB charging ports) to the private butler pantry for seamless room-service delivery, every one of the hotel’s many amenities compliment the already exceptional experience. The Inn at 500 Capitol is also pet friendly. In fact, “Pet Friendly” is a bit of an understatement, considering the hotel’s entire third floor is dedicated to traveling fur companions. Pet visitors to the Inn at 500 Capitol receive the same attentive and personalized service as their human counterparts. 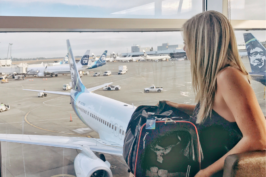 Pets are even given a personalized welcome amenity at check-in, as well as bowls and a bed to use during their stay. Additionally, guests who come from the airport can enjoy a complimentary, luxury shuttle service in the hotel’s Mercedes vehicles. All-in-all the Inn at 500 Capitol definitely does it right. The hotel’s focus on people, place, and details provides an authentic and personal Boise experience. 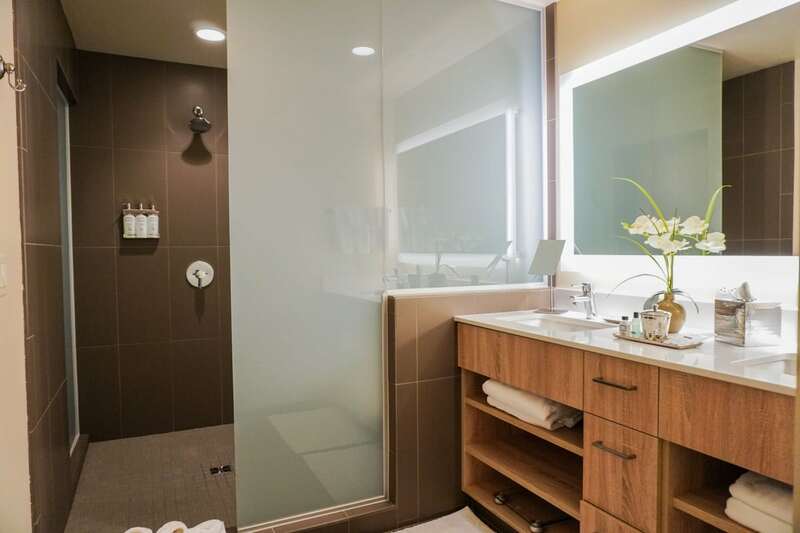 Whether you live in Boise or just passing through, treat yourself to a bit of luxury. Trust me, you won’t regret it! 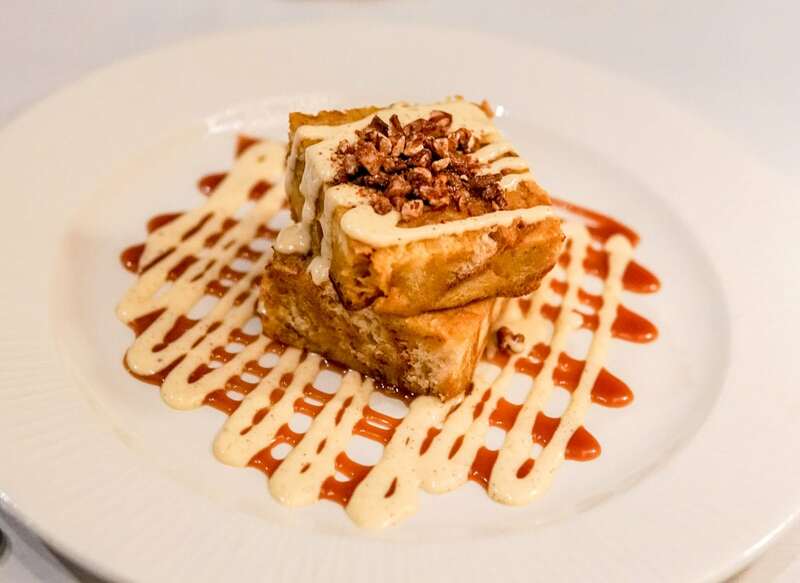 When you stay at the Inn at 500 Capitol you don’t need to go far to find good food (and I’m not talking about the numerous downtown restaurants that are a short walk from the hotel). Located adjacent to the hotel’s lobby, Richard’s serves up regionally inspired Italian cuisine and craft cocktails in a swanky setting that’s contemporary yet comfortable. The posh atmosphere belies Richard’s unpretentiousness and approachability. Here, the food speaks for itself. 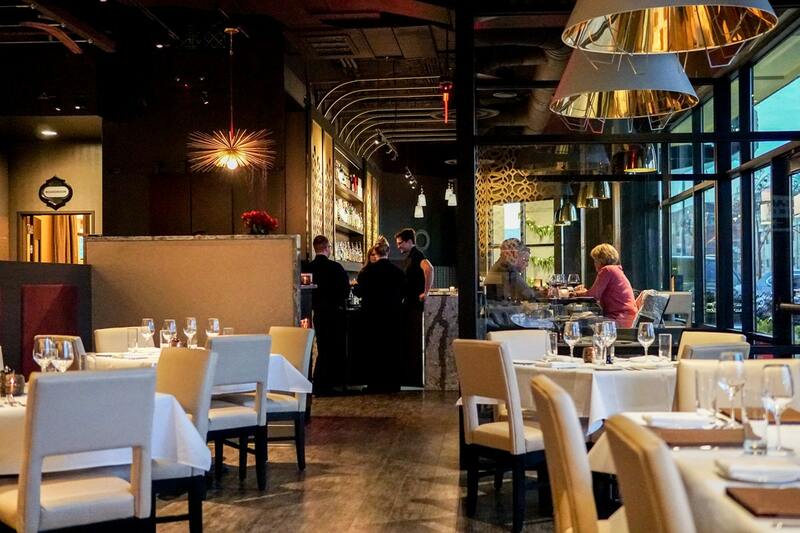 Chef Richard Langston’s contemporary Italian and Mediterranean cuisine emphasizes fresh, seasonal and local ingredients with modern and simple preparation. We visited for dinner and absolutely loved everything we ordered. The steak was seasoned and cooked to perfection, the burrata appetizer was the best I’ve had (and, trust me, I’ve had a lot), and the bread pudding dessert was to die for. I also had the daily seafood special — a crab, squash and pasta dish — that did not disappoint. 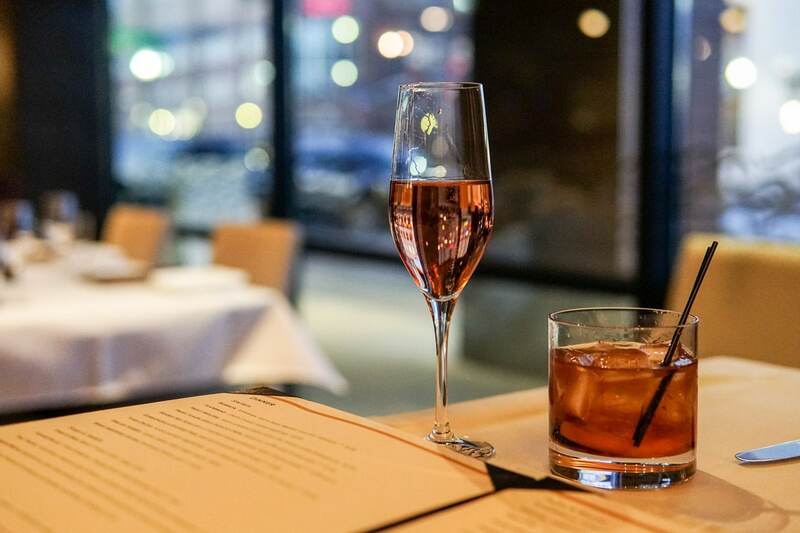 When it comes to libations, craft cocktails are complimented by a hand-curated (and impressive) wine list featuring both old world and new world wine. I wasn’t familiar with some of the old-world wines on the glass list, but our server was quick to make a recommendation based on my preferences and I ended up discovering a new wine that I absolutely loved. From the food flavors and presentation to the service and libations, everything about our dining experience was absolutely superb, and I will definitely return to Richard’s the next time I’m in town. Since Richard’s provides all of the food and beverage services at the Inn at 500 Capitol, we also enjoyed their breakfast products when we ordered room service the next morning. A short walk (less than five minutes) from the Inn at 500 Capitol, The Gas Lantern Drinking Company is the newest player in Boise’s craft cocktail scene. 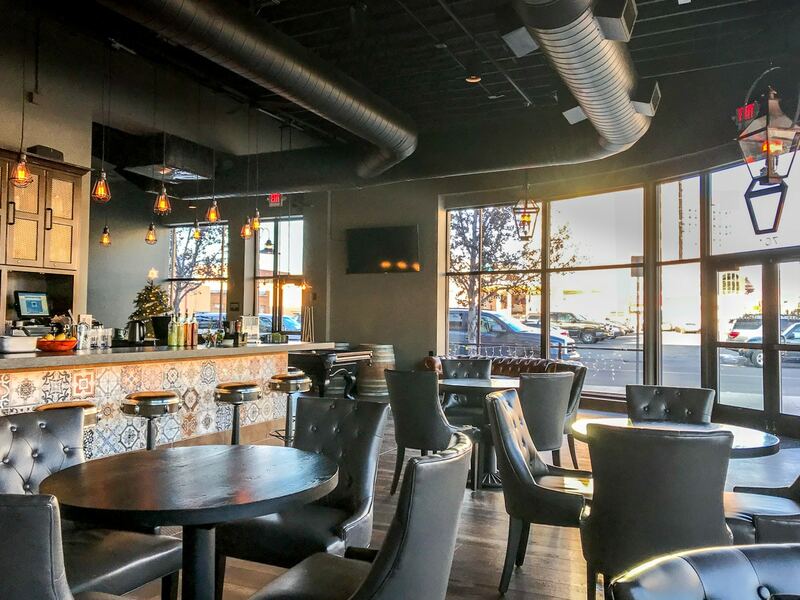 Though located sightly off-the-beaten-path from Downtown Boise’s bar hub at 8th & Main, The Gas Lantern Drinking Company has delicious rewards for the determined seeker of a good drink. A modest beer list is complimented by twelve cocktails divided into “whiskey” and “non-whiskey” categories. The bar’s claim to fame is its Smoke & Thyme cocktail which — as the name suggests — includes both smoke (from a hand-held food smoker) and thyme (plucked from the hydroponic herb garden hanging on the bar’s wall), as well as Elijah Craig Small Batch bourbon, juice from smoked lemons and whiskey bitters. Located next door to Gas Lantern Drinking Company, White Dog Brewing is the latest of three new breweries to open in Boise in 2017. Upon entering, I knew I was going to like this brewery from the moment I sat at the bar and found a frost rail bar top complete with toy snow plows along with polar bear and reindeer figurines. I fell further in love with White Dog Brewing when I discovered they had a small selection of sour beers on tap. Finding a good sour beer in Boise has proven extremely difficult (I don’t like IPAs and I especially don’t like sour IPAs), so I was delighted to discover White Dog Brewery’s Blackberry Sour beer. I tasted several of their beers, but the Blackberry Sour was my absolute favorite and I will definitely return for it when I’m back in Boise. Everything about this brewery — from the branding to the beer — is on-point, and I highly recommend it. 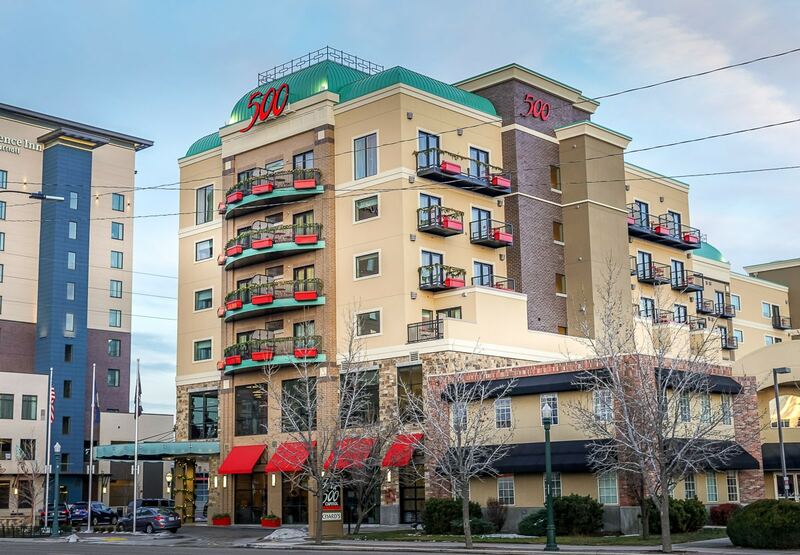 The Inn at 500 Capitol’s central location makes it the prefect gateway to downtown Boise and the surrounding area. If you’re visiting during the summer, grab a hotel loaner bike (yes, they also offer complimentary cruiser bike rentals) and explore the city on two wheels. The Inn at 500 Capitol is only a couple of blocks away from the Boise River Greenbelt — a beautiful (mostly paved) trail that meanders 25 miles along the Boise River. The scenic Greenbelt connects downtown to several Boise neighborhoods and parks. Since the Inn at 500 Capitol is located next to Julia Davis Park, there are numerous fun family activities within walking distance of the hotel. Zoo Boise and the Discovery Center of Idaho are just down the street, while the Idaho Art Museum and Idaho State Historical Museum are just block up Capitol Blvd. Most nights of the week you can find live music at several of downtown Boise’s bars and restaurants. Additionally, a revolving list of festivals take place downtown during both the summer and winter months. If you’re visiting during the summer, stop by the Farmer’s Market on Saturday mornings or Alive After Five on Wednesday afternoons. If you’re visiting during the winter, catch a Steelheads hockey game at the Grove Hotel or a BSU basketball game at the Taco Bell Arena. I was a guest at the Inn at 500 Capitol but all thoughts & opinions are my own. ooooh! My husband has been trying to convince me we should visit Boise and TBH I was on the fence, but your post makes it look worthwhile! I totally want to stay at that hotel and I had no idea boise was surrounded by such a pretty landscape! I can’t say I’ve ever thought of traveling to Boise, so nothing immediately pops into my mind when I think of it. 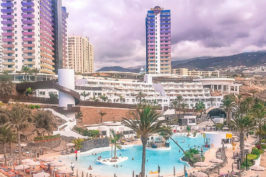 However, after reading your post, it sounds like a nice spot for a weekend getaway! I’d definitely want to go hiking in those hills and mountains surrounding the city — if only to work up my appetite to try all the yummy food dishes you posted! I would love to go to Idaho! We actually were considering moving there when my husband was in medical school interviewing for residency! We didn’t match there and, instead, ended up in Cheyenne, Wyoming, but the West will always have a very special place in my heart! I’ve never been to Boise but would love to visit! I’m a fan of any dog friendly hotel, so thanks for the recommendation, I’ll keep it in mind for when I do visit! I’ve heard it’s a fun place to visit. I didn’t believe it until now! I love Boise! We used to work there, and thought it would be great to live and/or hang out more. There are some great restaurants which work with local farmers. 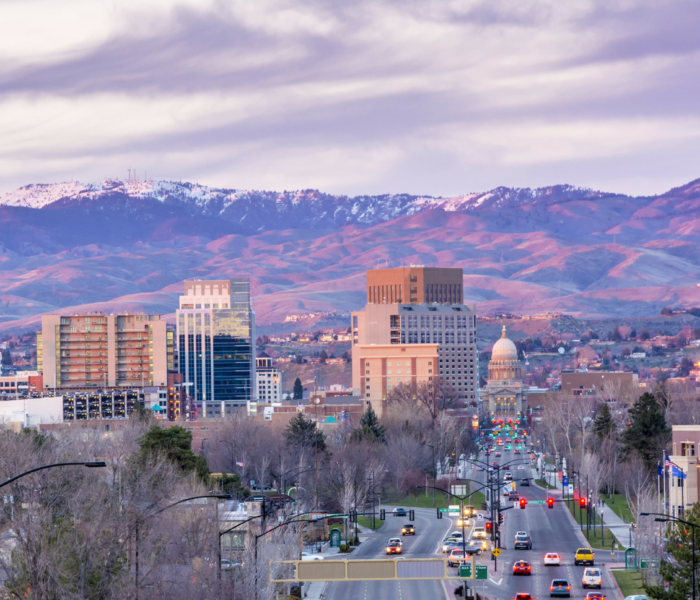 I’ve driven through Boise but never stopped and would love to explore the city and Idaho more, especially since I live in a neighboring state! Saving! This is the first time I am hearing about Boise and it seems like an exceptional place to explore, Brianna. Your pictures are spectacular. How many days would be enough to see all the highlights there?